MapIT has been providing GIS and data management services to industry for the past 20 years and successfully delivering hosted GIM services to clients since 2014. The company has followed an evolving progression of services from basic GIS and data compilation work, through 3D modelling and targeting and now providing high end services in data management through acQuire’s Nova Network, and advanced 3D modelling in packages such as – goCAD, Leapfrog, Gems. 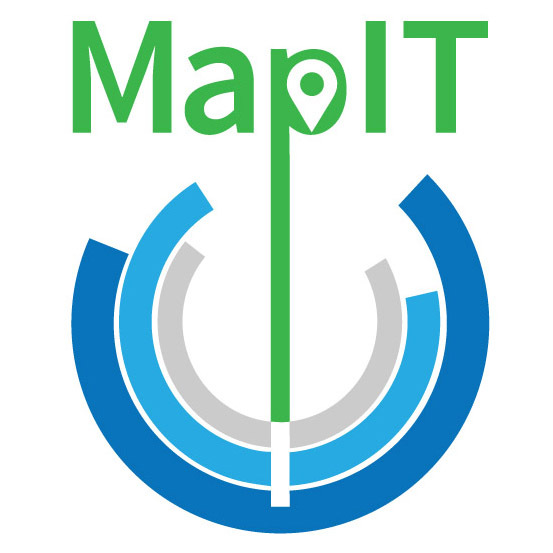 With a history in data visualisation (GIS), MapIT approaches data management from the data user perspective rather than strict data management. This ensures collected data is streamlined for all end users. MapIT works directly with clients, focusing on needs and requests to find the right solutions to deliver class leading services. We support clients from exploration, through development into mining. We assist to advance projects as cost effectively and quickly as possible in an ‘on demand’ capacity. President and Founder of MapIT, Paul Stacey specialises in 2D and 3D project modeling, integration and data management for the mineral exploration and mining industry. 20+ years of experience provides for a broad insight into best-in-class software, data management, dissemination and visualization practices. An inherent curiosity and commitment to using the latest and best technology applications provides knowledge integration of past platforms with assessment, migration and use with new technology.